Bye Bye 2018. Welcome 2019! TOO FUCKED TO GO – OUT NOW! TOO FUCKED TO GO – THE NEW ALBUM COMING SOON! TOO FUCKED TO GO – The new single out now! BRASIL 2017 – IT IS DONE. UNFORTUNATELY! 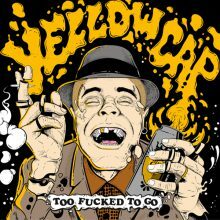 YELLOW CAP NAKED? MAYBE. ON INSTAGRAM! VAMOS PARA O BRASIL NOVAMENTE – BELEZA!